Capobianco Law, P.C. is a general practice law firm founded upon the principles of honesty, integrity and fairness. At Capobianco Law, we are dedicated to providing you with individualized attention tailored to your particular legal needs. We will be respectful of your time and your resources while upholding the firm’s core values. Capobianco Law, P.C. is the successor to the Law Offices of Capobianco & Capobianco, P.C. After 53 years of dedicated service to the legal profession, Robert R. Capobianco retired in 2016. 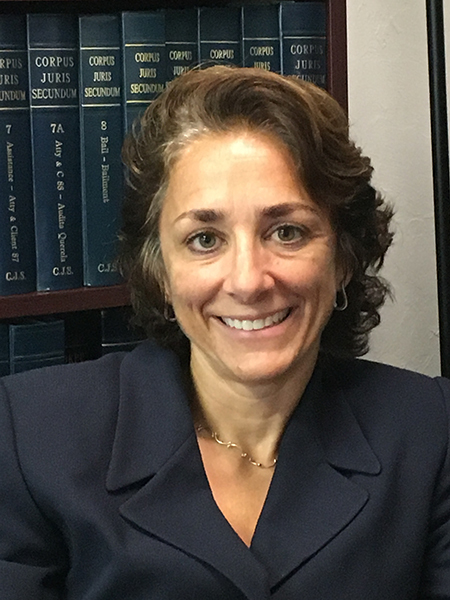 Theresa K Capobianco started Capobianco Law, P.C. to carry on the tradition of providing quality legal services at affordable rates. The traditional values of the firm are carried forward, and will not be compromised. As a general practice firm, we are not bound to one particular area of service or specialty. We pride ourselves on being able to provide a wide variety of legal services to our clients, rather than handling only one aspect of a client’s legal needs. Capobianco Law, P.C. can assist you with most matters which may arise, whether personal or business in nature. Contact us and let us help you with your legal needs. Be assured if we are not familiar with the area of law that related to your matter, we will tell you and we will refer you to an attorney or attorneys who have expertise in that area of law. Our clients are not just another case number or paycheck, and we will not use your matter to run up billable hours. We will always respect your time, your resources, and your needs. Attorney Theresa K. Capobianco is a general practitioner, focusing on the fields of residential real estate purchases, sales, leases, and landlord representation; business incorporation and ongoing business representation; estate planning; guardianship, conservatorship, probate of wills; trust administration; civil litigation, probate litigation, property disputes; contract drafting, enforcement and litigation; administrative law issues. Theresa is a graduate of Boston College Law School (1997) and the University of Massachusetts, Amherst (1994). She is presently pursuing her MBA. Theresa has 2 daughters and is active in the Northborough community. In her free time, Theresa enjoys winter sports, obstacle races and sailing. She is a proud supporter of various local Veteran’s organizations. Oops... something went wrong submitting your request. Please try again. If you continue to have trouble please send us an email at info@capolawpc.com. Our firm has clients throughout Middlesex, Suffolk, Essex, Norfolk, Worcester and Plymouth counties. We handle transactions in Ashland, Bedford, Bellingham, Belmont, Boston, Concord, Dover, Framingham, Fitchburg, Gardner, Grafton, Hingham, Holliston, Hopkinton, Hudson, Leominster, Lexington, Marlborough, Natick, Northborough, Plymouth, Princeton, Quincy, Sharon, Sherborn, Shrewsbury, Southborough, Waltham, Wayland, Wellesley, Westborough, Westminster, Weston, Worcester and other cities and towns throughout the Commonwealth. Material presented in this website by Capobianco Law, P C, a Massachusetts professional corporation, is intended for informational purposes only. Its content is not professional advice and should not be construed as such. Transmission of the information and material herein does not create and the receipt does not constitute an agreement to create an attorney-client relationship with this law firm or any member thereof. This firm will not represent anyone desiring representation in any jurisdiction where this website fails to comply with all laws and ethical rules of that jurisdiction.